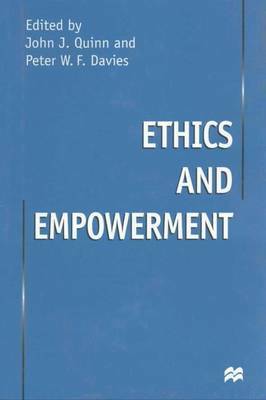 Ethics and Empowerment is a major contribution to the ongoing debate about the role of business in society. People expect more meaning and empowerment at work at a time when competitive pressures are seducing business into taking ethical short-cuts. How is this to be reconciled? Through a thorough examination of the issues of power, control and autonomy addressing such questions as empowerment being a matter of justice, through case-study based examinations of the organisational experiences of empowerment programmes and through looking at the ethics and empowerment debate from the wider perspective of business and social responsibility, this book seeks to make ethics more relevant and accessible to today's business world.